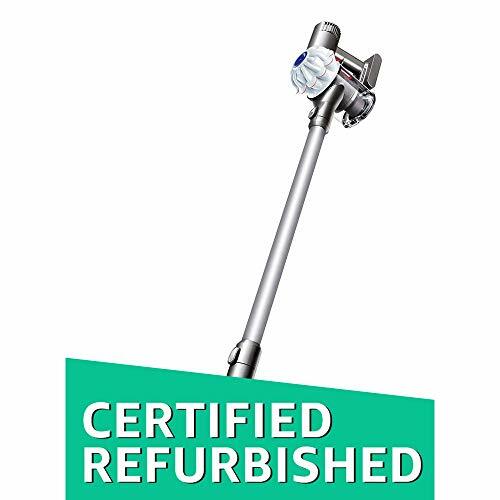 After comparing the three electric brooms above and based on metrics such as versatility, convenience, suction power, and reliability, the Dyson V6 Motor Head Cord-Free Vacuum comes out on top. Weighing just 5.0 lbs, this model can effortlessly be moved from room to room without the hassle of a cord. It’s this combination of convenience and Dyson’s signature power that we found hard to beat. Before the invention of electric brooms, simple cleaning tasks around the house or office seemed to be so energy-sapping and time-consuming. These exquisite products of modern engineering have since transformed everyday cleaning to a simple, enjoyable task. Looking for the best electric broom? The market is not short of models and brands that claim to offer effortless cleaning capabilities. While choosing the best electric broom may not be a walk in the park, you should base your final decision on the number of features and overall performance this cleaning tool offers. Suction power, versatility, reliability, and convenience are some of the metrics used to evaluate electric brooms. In this article, we compare three widely used electric brooms based on these metrics in an attempt to help you make an informed decision. The main selling point for this particular model is that it’s ultra-lightweight (under 8.0 lbs) so you can effortlessly carry it from room to room. 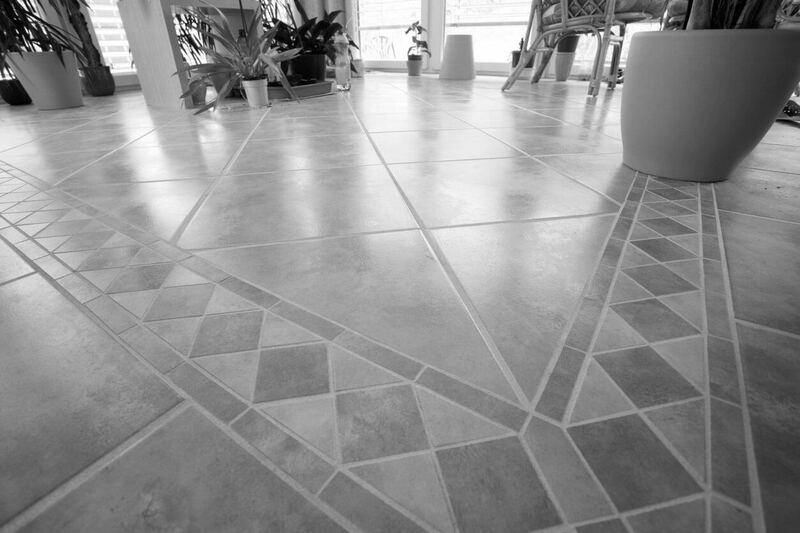 It is also able to clean both bare floors and carpets. Thanks to its slim design, you don’t have to worry about dirt lurking under your furniture. You can also use the wand to reach high places or narrow crevices. Although it may not be the most inexpensive model found on the market, based on all of its features you’ll definitely get good value for money. The model features a 30-feet power cord ensuring that a significant area is cleaned before a new power socket is sought nearby. 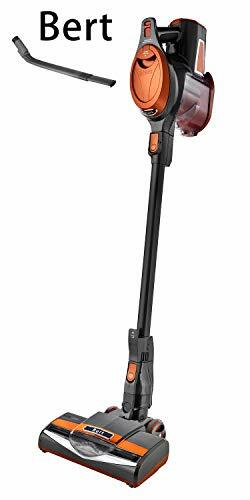 Just like the Dyson V6 model, the Shark Rocket HV303 can also easily convert to a handheld and facilitate floor-to-ceiling suctioning. 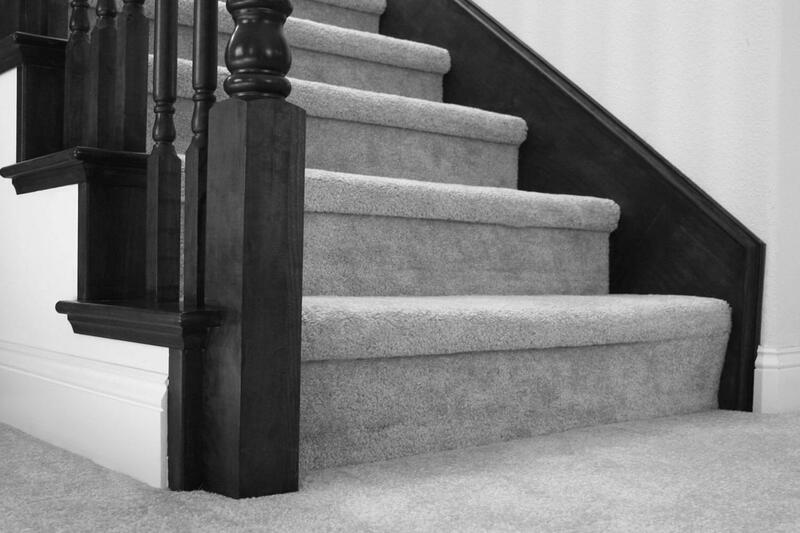 Its versatility is enhanced by the presence of fingertip controls that make it possible to switch from carpet to hard floor with minimum effort. The package also comes with a dust-away attachment, home and car detail kit, one pad, as well as an accessory bag. A few users have forwarded complaints that suggest the cord is too long, which raises the risk of entangling. However, most people actually consider this a positive. If you have a hardwood floor at home, you have most likely realized by now how difficult it can be to keep it spotless and clean. 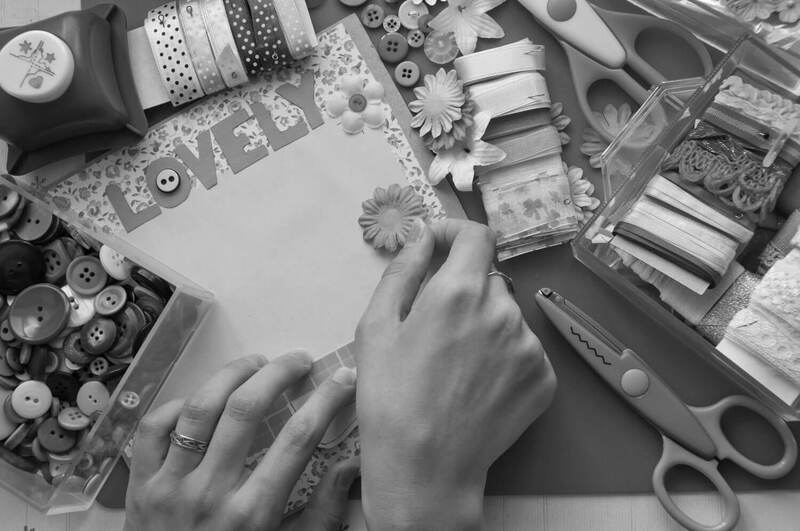 The traditional broom is not effective and can also be time consuming. The Dirt Devil Power SD20505 was developed to solve this problem. This handy machine is not only easy to operate but it also possesses constant powerful suction that gives dirt and debris a near zero chance of escape. Weighing just 6.7 pounds, almost anyone can use it without much problem, barring very young children. In addition, the Dirt Devil is great for small apartments as it doesn’t take up much space. This broom is powered by a powerful 10-amp motor that provides cleaning energy enough to clean spills, hairs, and animal fur in the first pass, ruling out the need for repeat cleaning rounds to wipe off the dirt that was missed. Although it works best on hardwood floors, the Dirt Devil Power SD20505 is still powerful enough to work on carpets and rugs, too. Another noteworthy feature comes in the form of a one-touch empty dirt cup at the bottom that simplifies the dumping process. When using it however, there’s a tendency of the dirt spreading around a little bit when the exhauster releases hot air produced by the mortar. It might take you some time before mastering exactly how to use the broom and minimize dirt leftovers created this way. The 20-foot cord may also not be long enough for cleaning several rooms in one go. The Dyson V6 Motor Head Cord-free vacuum boasts incredible cleaning power that makes for a vacuuming experience that’s quick, thorough, and convenient. Without the hassle of a cord/bag, you can freely move around without having to work with multiple sources of AC power. Once fully charged, the power battery runs for up to 20 minutes, giving you suction powerful enough to carry most daily cleaning activities to completion. The trigger is soft and highly receptive thereby keeping your fingers and arms stress-free throughout the exercise. This machine is lightweight (5.0 lbs) so both adults and teens can use it without any problems. Being lightweight also simplifies the cleaning of not just the floor but also the ceiling, including air vents and corners. 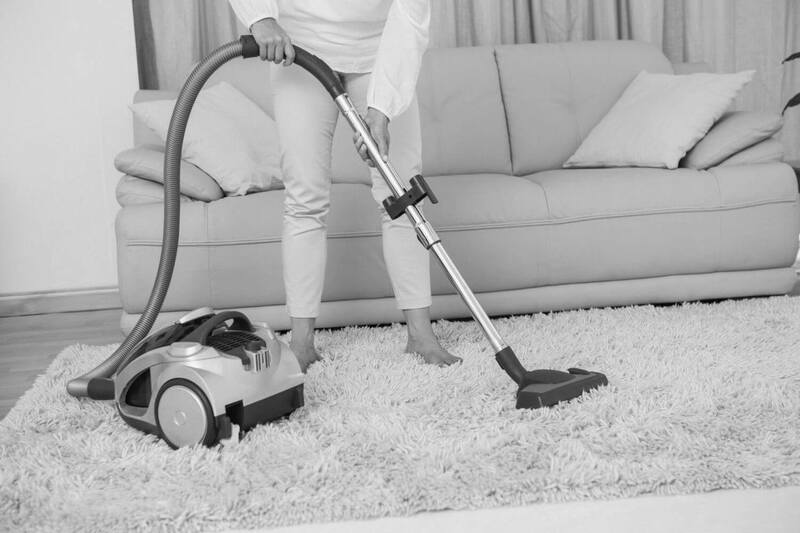 Not even dirt lying deep in the carpet is spared thanks to a direct-drive cleaner head. This model can also be quickly converted to a handheld, which makes it perfect for cleaning small areas or car interiors. It also comes with a mini soft dusting brush that can be used to gently sanitize dust-prone electronic items like TV sets, laptops or desktop computers. A crevice tool enables suction of any dirt that might be lurking inside narrow spaces and tight gaps that would otherwise be hard to clean with some other models. A possible downside of this model is that if you get too close to the exhauster, the powerful mortar may blow hot air onto your face causing some discomfort. The model is otherwise ideal for both light- and heavy-duty cleaning. The Dyson V6 Motor Head Cord-free vacuum would be ideal for both home-based cleaning and light office sanitization. 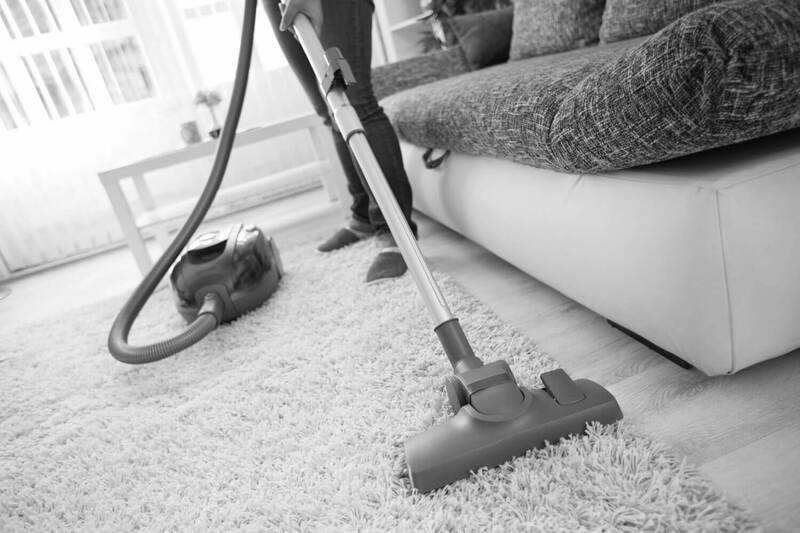 The absence of a cord makes it convenient for cleaning large rooms. 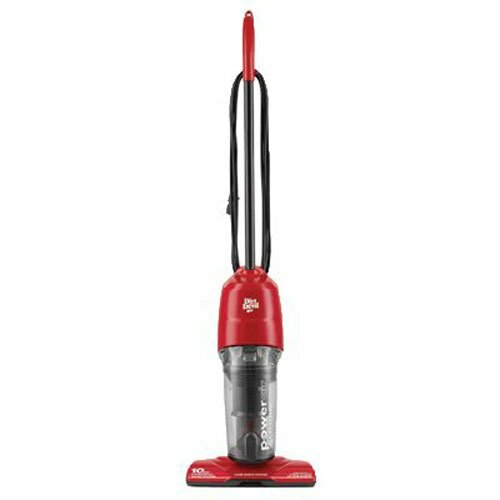 The Shark Rocket HV303 would be perfect for cleaning stairs, couch cushions, drapes, and areas that are hard to reach. It’s also highly efficient with mid-sized dirt and debris which have nowhere to hide. 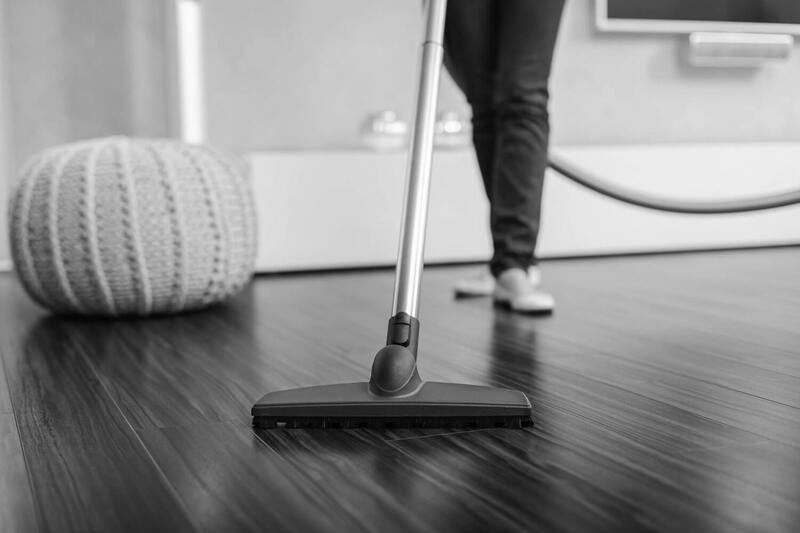 The Dirt Devil SD20505 is recommended for cleaning dusty, messy hardwood floors that would otherwise take time to clean using carpet-to-wall brooms. It’s also a handy option for emergency cleaning of carpets or ceilings.